One of the most important things anyone can do during his or her lifetime is to make a will. If you have money, property or other assets that you want to protect, you should make a will to ensure that if you die, they go to the individual/s of your choice. If you have loved ones, such as a spouse and children, you will be keen to ensure they are looked after on your death; and that your assets will pass to them when you die. You may want to leave something to charity or another organisation on your death. By making a will, you can control what happens with your money and property when you die. By making a will, you can reduce the amount of potential inheritance tax that may be payable on your death. Who can I leave my estate to? What types of gift can I leave? What information do I need to make a will? Who should I chose as my executors? Who should I appoint as guardian? 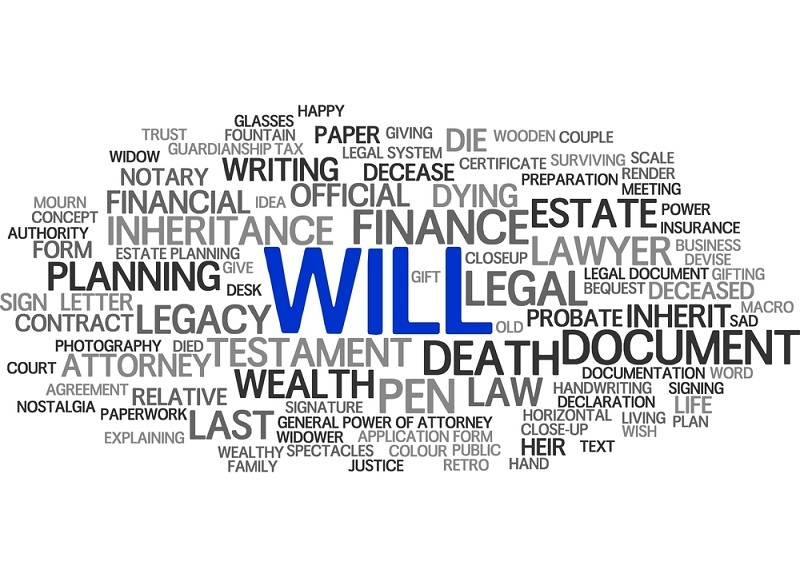 How is my will finalised? What are the risks of DIY wills? Could my will be challenged? What will happen if I die without a valid will? A will is a legally binding document setting out how you, the ‘testator’, wish to distribute your money, property and personal belongings on your death. It becomes legally binding when the document is signed and witnessed in accordance with strict legal requirements. A will is effective as if it had been signed and witnessed immediately after the testator’s death, unless a contrary intention in expressed in the will. Making a will gives you control and gives you peace of mind. You will have the satisfaction of knowing you have provided for your loved ones and, for instance, left money to the charity of your choice or saved your beneficiaries money by saving inheritance tax. By making a will, you decide who inherits your estate and not the Government. Anyone who dies without a will in place dies ‘intestate’. This means the Government decides who gets what on your death under the statutory rules of intestacy. Essentially, your beneficiaries (the individuals who will inherit your estate) will be your closest living relatives. It could be that your relatives benefit from your estate in a way that would have been contrary to your own wishes. In addition, any individual you would want to benefit from your estate may be excluded under the intestacy rules. See What will happen if I die without a valid will? Anyone over the age of 18 can make a will, so long as they have the mental capacity to do so. The law says a person must have testamentary capacity to make a valid will. This means he or she must have sufficient mental capacity to make a will and must know what they were doing at the time. The testator must be of sound mind, able to identify his or her property and recognise who would inherit property and assets if there was no will. He or she must also be able to rationally plan for disposing of it in the will. Someone’s state of mind can be altered by a number of factors rendering them mentally incapable of making a will. Such factors include serious illness such as Alzheimer’s, being under the influence of drugs (whether or not prescription drugs), and severe bereavement. A related issue is fraud: where there is any evidence of forgery, fraud or undue influence from a family member or close friend, for instance, the will be invalid. A will enables you to direct how your estate will be divided on your death. Your estate will comprise all your money, investments, property, business assets, shares, antiques and other belongings that are you in your own name. Generally speaking, it is your choice alone.However, it’s important to ensure you avoid excluding anyone who is, or is likely to be, dependent on you at the time of your death (see next section). Typically, testators often leave their entire estate to their spouse (if they are married) and if they have no spouse, to their children in equal shares. Alternatively, they leave fixed sums of money (‘pecuniary legacy) or specific assets to named individuals within the will, and the rest to any children or other loved ones. Who are your closest living relatives? Are you financially supporting anyone, for instance, an adult child or a disabled relative? Do you want to leave any money to charity or other organisations? Do you want to set up a trust to benefit a group of beneficiaries, such as grandchildren? The way children are treated for the purposes of intestacy laws is not always straight forward. For instance, under succession law, legally adopted children are treated law as the child of the parents who adopted. This means they are legally entitled to inherit their estate under intestacy rules; and in the case of a will, to be treated as a child of the family. However, it is important to note that the law does not treat step-children, informally ‘adopted’ children and children born as a result of IVF and surrogacy as automatically entitled. If you make a will and intend a child that comes into any of these latter categories, you are advised to name them specifically in your will. Yes, but you need to be careful that you don’t exclude dependants as they may be able to successfully make a legal claim against your estate after your death. A dependant is someone who was financially dependent on the deceased person at the date of death. A dependant could be the spouse or civil partner, a child or, for instance, an individual who was living in the deceased’s household during the two years immediately before the date of death. Essentially, you can leave your estate to anyone you want. In practice, if you exclude someone from your will unfairly, he or she may be able to make a claim against your estate. These are gifts made irrespective of whether the deceased owned actually owned such an asset at the date of death. So, “A gift of ‘1000 BT plc ordinary shares’ amounts to a general legacy. You can leave anything that you personally own in your will. If you co-own property or you jointly own a business, you should seek expert legal advice on those matters. WHO SHOULD I CHOOSE AS MY EXECUTORS? Choosing an executor is a critical matter when thinking about making a will. You need to choose an executor who you know well and you know to be trustworthy. After all, your executor will be looking after all your money and assets when you die and the responsibilities are potentially great. You may wish to choose more than one executor. However, a simple estate can generally be administered by a sole executor. If it is more complex and higher value estate, two or more executors are recommended. Do bear in mind that older executors may die before you and it can be sensible to elect someone who is likely to outlive you. Discuss the possibility of acting as executor with the individual/s concerned. They will be able to say whether they are willing to take on the responsibility. if they are unwilling to do so, it gives you the option of thinking again. Many people elect to appoint their solicitor or their bank to act as executor. If you have children who are under 18, it is recommended you appoint guardians in your will. If you don’t, and your children are orphaned on your death the court will appoint guardians. Court appointed guardians in these circumstances may not be those you would have chosen. If and when you know who you would want to care for your children in the event of your death (and no one else with parental responsibility survives you), speak to them to find out how they feel about it and whether they are willing to take on the responsibility. Those responsibilities will include the daily care of the children, as well as making important decisions on their education, health and welfare, and upbringing. Appointing a guardian who you know is able and willing to take on the responsibility if necessary will give you peace of mind. Essentially, if you sign your will when the witnesses are present with you, there should not be any problems. The cost varies on who drafts the will. Typically, a solicitor will draft a single will from around £90 up to £300, depending on the complexity of the will. Where a couple, for example, spouses want to make wills, the cost can typically be £135 for two rising depending on the complexity of the will. Costs can also vary between solicitors and also depending on where in the country are you located. Writing your own will is cheap short term, but can be expensive long term. The costs of rectifying the problems that result after your death from an improperly drafted will can be great, and cause your loved ones distress. More and more wills are being challenged in the courts – many successfully. Relatives who feel hard done by, or organisations who believe they are legally entitled to more than they have received may make a claim against an estate if they feel they have a legal right. Invalid execution of the will - If the strict legal requirements for the valid execution of a will are not complied with, the will can be declared invalid. Testator’s lack of mental capacity - If the person making a will did not have the necessary mental capacity, the will can be declared invalid. Fraud or duress - If there is evidence of fraud or duress the will can also be declared invalid. Lack of provision - If a dependant is excluded from the will, or not sufficiently provided for, the law provides for that individual to make a claim reasonable provision out of the estate. Typically, a dependent is someone who lived with, and was financially supported by the testator, for instance, a partner, adult child or disabled relative. Property disputes - Ownership of property which is subject matter of will can be disputed. For instance, if the testator left a property to an individual but he or she owned part only of that property, there could be legal action in some instances. Negligent will drafting - If the person who drafted the will did not properly reflect the testator’s intentions in the will, a person suffering loss as a result may make a valid claim. If you die without having a will (or a will you have made is invalid), you will die ‘intestate’. This means the Government decides who inherits your estate under the statutory rules of intestacy. This means your beneficiaries may not be those you would have chosen had you made a valid will. Essentially, your beneficiaries will be your closest living relatives according to their class as set out in the legislation, depending on whether you are married (or in a civil partnership) and have children. The spouse (or civil partner) inherits the whole estate. a life interest in half of the remainder. This means the income from it. The remaining half that is left goes to the children in equal shares on what the law calls ‘statutory trusts’ on the age of 18 years (or their own children if any die before the deceased or reaching 18 years). The remaining half goes to surviving parents or, if none – to the siblings on ‘statutory trusts’ on the age of 18 years (or their children if any die before the deceased or reaching 18 years). Where there are no relatives in the top class, all relatives in the next class in which there are surviving relatives take the estate in equal shares – and no one in a lower class is entitled. This continues down. If there are no surviving relatives, the estate goes to the Crown. WHAT ARE THE IMPLICATIONS OF MARRIAGE, DIVORCE AND CIVIL PARTNERSHIP ON WILLS AND INTESTACY? A will is normally revoked on marriage or civil partnership. This means if you get married or enter a civil partnership, you should consider making a will. There is an important exception: you can make a will in contemplation of marriage or civil partnership, so long as it is expressly stated that the will will not be revoked on marriage/civil partnership to a particular named person. A common misconception is that so-called ‘common law’ husbands and wives have no rights under intestacy rules. There is no such recognised legal status as ‘common law’ marriage in England and Wales. This means if your partner dies without leaving a valid will, you may be left with nothing. Parties to a marriage who are separated but not yet divorced will still have the legal right to inherit under intestacy rules if there is no will on death. Once you’ve made your will, you should ensure it is kept somewhere for safekeeping. If a solicitor draws up your will, he or she will be able to store it safely for you (usually at no charge). It is advisable to keep a copy at home and let your executors know where it is kept.